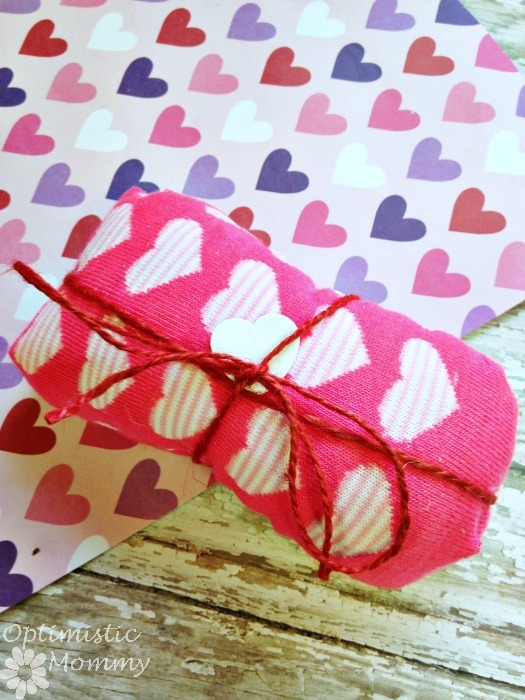 Show your sweetheart you love them when you craft this easy and inexpensive no sew Valentine’s Day heat pack. 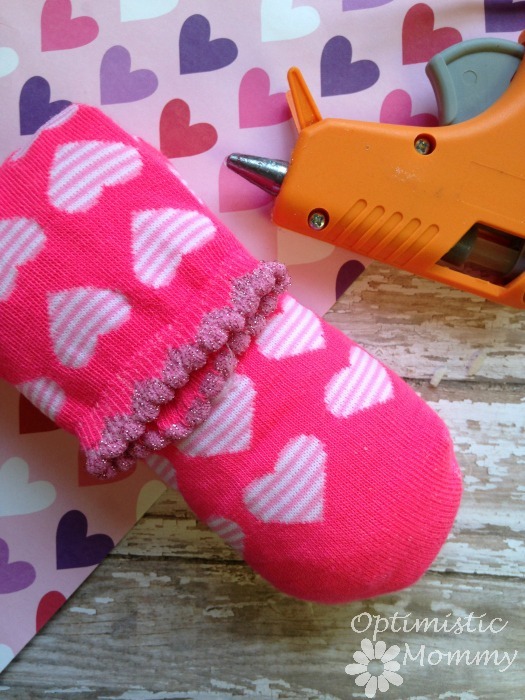 You can craft your own heat pack in just minutes and using items from your local dollar store. The end result is the perfect solution to sore and aching muscles or just for warming cold skin. Here is how you can get started crafting your own! Begin by placing your sock in the jar and folding the mouth over the opening. This will hold the sock open so you can easily pour the rice in. 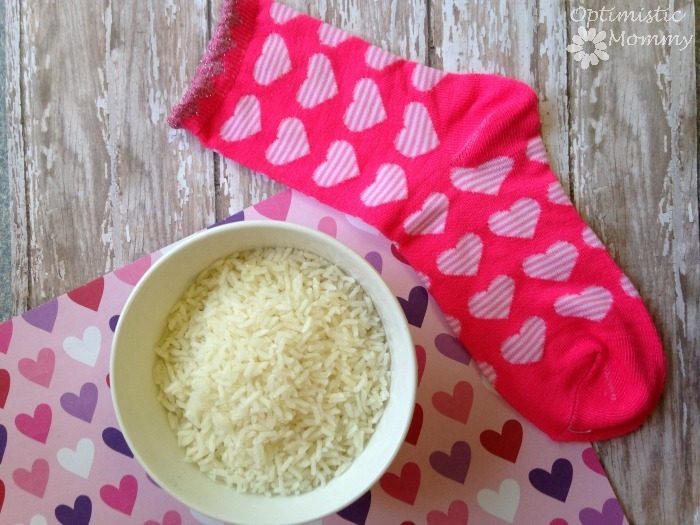 Slowly pour the rice in so that the sock is about ¾ of the way full. Fold over the end of the sock. Use a generous amount of hot glue to hold the end in place. It is important to fold over and secure well so rice stays in and doesn’t fall out. We took some twine and wrapped our heat pack up for gift giving. 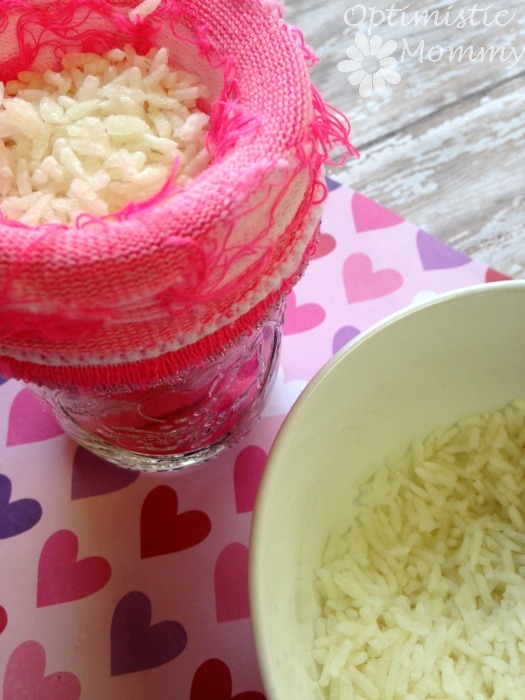 To use your rice pack, all you need to do is place it in the microwave for 30 seconds. You can continue to heat it in 30 second intervals until it is the temperature of your choosing. 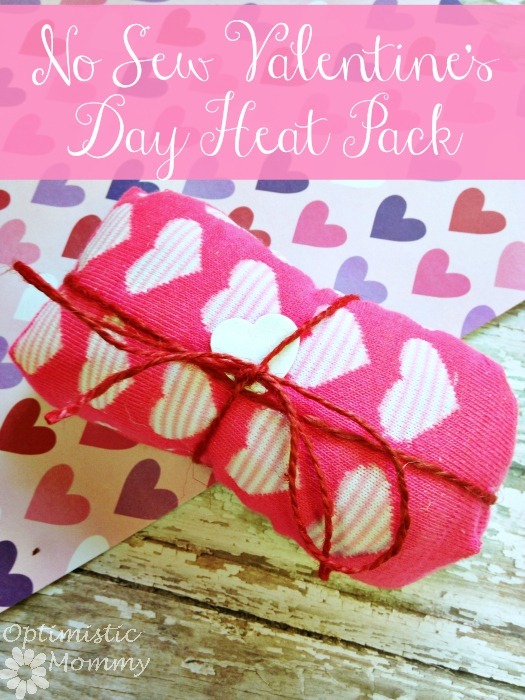 Gather your supplies and make your own no sew Valentine’s Day heat pack. It makes the perfect homemade gift. THAT is just an awesome idea. And cute to boot! Very clever. I’ll share this on reddit and my other social spots! I am going to do this for myself! Great idea and thanks for sharing with the Thursday Blog Hop! What a great idea! I happen to make the heat packs and Yoga bags with rice but this is really clever! Thank you for linking up with the Oh My Heartsie Girls Wordless Wednesday Link Party! such a great idea! love the idea of no sew and by using a sock you could make one in any colors! Awesome 🙂 Thanks for sharing with us at Snickerdoodle Sunday! This is so great! I shared it and pinned it. Thanks for sharing in on OMHGWW! that is soo cute! and I know many ppl who would luv to have this, and I like that it is easy enough to do with kids!! !